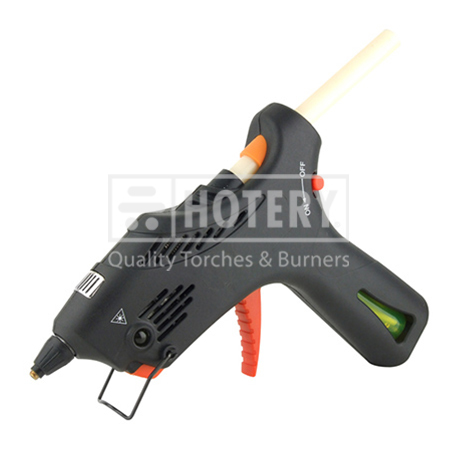 HOTERY PRODUCTS CORP. specializes in manufacturer, supplier and exporter the business of Glue Gun. Located in Taiwan, we enjoy convenient access to major transportation networks. Our company has around 150 staff members. Furthermore, all our products are manufactured with advanced equipment and strict QC procedures in order to ensure high quality. Guaranteeing stable and timely supply, credible quality and sincere service, our products sell well in both domestic and overseas markets. If you are interested in any of our products, or wish to place a customized order, please contact us now, We will do our best to meet your needs. 1. Fast, easy start up with push button piezo ignition. 2. Continuous run time of up to 30-40min.on butane fuel. 3. Instant glue flow cut-off to reduce dripping. 4. Safety lock on fuel flow to prevent unintentional gas flow.